1) (or or Lingeyne) (Lingen Castle, and Sutton, co. Hereford; a family of great antiquity in that co., in which they held estates, temp. Henry III.). Barry of six or and az. on a bend gu. three roses ar. Crest—Out of a ducal coronet or, a garb vert. 2) (or or Lingayne). (cos. Derby, Gloucester, Northampton, Salop, and Worcester). (Penlanole, co. Radnor; a branch of the Lingens, of Lingen Castle). Barry of six or aud az. on a bend gu. (another, az.) three roses ar. Crest—Out of a ducal coronet or, a garb vert. 3 (co. Northumberland). Paly of six or and az. on a bend gu. three chaplets ar. 4) (or Liggen or Ligney). Chequy ar. and az. a fesse gu. Crest—A dexter arm embowed in armour brandishing a scymitar fastened to the wrist all ppr. This is a locational name meaning “of Lingen”, which is a parish in county Hereford, named for an ancient stream there, from the Welsh words llyn (water) and cain (clear or beautiful). It is also a habitational name from Lingen, a location on the Ems River in Lower Saxony, Westphalia, Germany. One source claims the name originated in Flanders. Other spellings include Lingain, Lingham, and Lingane. The Dutch version is van Lingen. The Hundred Rolls of 1273 AD, a census of Wales and England, known in Latin as Rotuli Hundredorum, documents one John de Lyngayne in county Salop. Marriages involving this surname include John Lingen to Sarah Muddiclip at St. Michael in Cornhill in 1698. A one John Lingen, of Gloucester Hall is recorded in 1586 in the Register of University of Oxford. Bernard Burke’s book “The Landed Gentry” discusses one branch of this family: Lingen of Penlanolen. The lineage traces back to Sir John Lingen, of Stoke Edith in county Hereford, who owned many lands in the said county. Sir Henry Lingen fought the side of Charles I during the civil war and maintained a troop of horse for the King. For this, he was fined and his estates were greatly reduced. 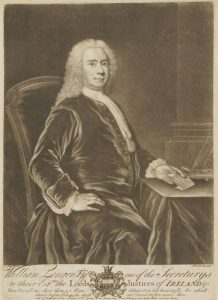 James Linge, Esq. of Thinghill Court, in county Herford married Liss Birt of London and had issue: Margaret, Eleanor, Fanny and William. William was of Sutton and he married Jane Hemming and by her had a son name William and several daughters (Jane, Margaret, Nancy). The son William in turn married Anne Barrett in 1796 and died in 1816, leaving children: Henry, Charles, Mary Anne, Sophia, Margaret, and Jane. 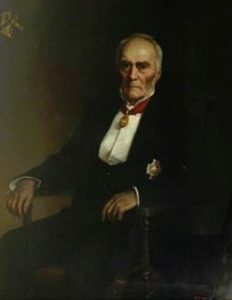 The son Henry, of Penlanolen in Radbor, wasborn in 1803 and was High Sheriff in 1839-1840. He married Priscilla Jones and had issue with her: Henry Jones (1839), and Charles Nelson. Charles was born in 1843 and attended Pembridge College at Cambridge. He married Emily, the eldest daughter of James Radcliffe, and had children with her: Constance Emily (born 1877) and another daughter born the following year. Robert de Wigmore, lord of Lingen, in county Hereford, was the founder of the priory of Lyngbroke. He had a grandson named John who assumed the surname Lingen. From John sprung the Lingens of Longer in a county Salop. Sir Ralph Lingen, or Lyngeyn, was born in 1340 AD in Hodnet in Shropshire England, the son of one John of whom little is known. He married Margery Cheyne and was the father of Isabel Lingen Ludlow prior to dying in 1382 AD. A one Iljemtina Johanna Helena Lingen (later De Graf) was born in Rotterdam, Netherlands in 1848, the daughter of Iljment Johhnes and Helena Lingen. She was the mother of Hendrika Johanna Lingen (later Van Der Ven). A one Benjamin Ling of Charlestown in 1636 died in 1673 leaving no children. 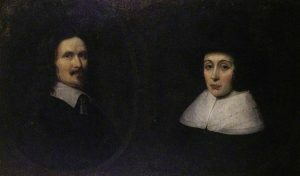 Early settlers included George and John Lingen (Pennsylvania 1837) and Kaatje Van Lingen (Baltimore 1847). One family motto for the last name Lingen is dominus providebit, meaning “The Lord will provide”. Famous people bearing this surname include: 1) Ralph Robert Wheeler Lingen (1819-1905) who was the First Baron Lingen and civil servant in England and 2) Charles Clifford Lingen (1881-1907_ was was an English golfer.